The company culture is what makes your business unique and makes you stand out. In addition to the Company purpose (the what you do), Companies need a Vision. It is the Company’s ‘why and how’ that sets the tone, the vision, the aspirations and therefore the culture. To have a truly engaged and inclusive culture in your company you should have three things. Action related Behaviours – you need to ensure that all your values can be translated into behaviours. How do you want all the people in your company to behave – within your company and to your customers? So how do we create these? Involve EVERYONE in your company when you are creating Vision, Values and Behaviours. Too often these are created by the Senior Leadership Team and then told to the staff. 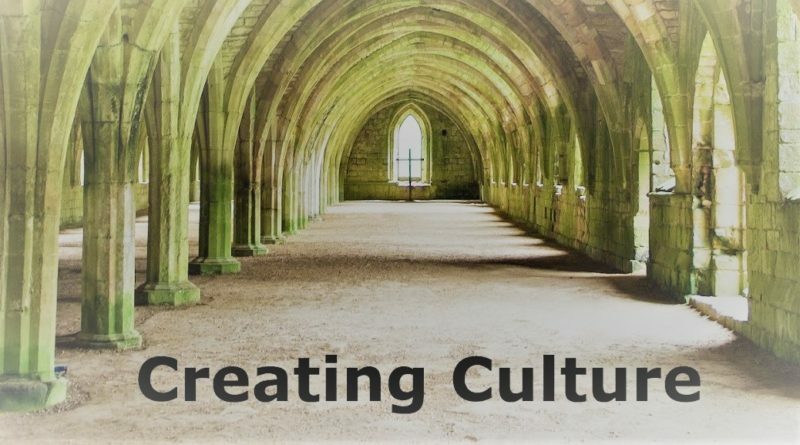 If you want a truly engaged and committed culture that your staff (at any level) wants to be part of, you need to have them involved in the creation of your company’s Vision, Values and Behaviours. When creating Vision, Values and Behaviours with the staff make sure you use THEIR words and language. If it gets turned into “management speak” then staff will disengage from the process.Values should be MEMORABLE. Values can be remembered by aligning them to a mnemonic memory aid. The Jewel Team created these using the mnemonic DIAMOND. Behaviours are the ACTIONS that all staff DO to live the Values. They should be specific and tangible so you know when they are being adhered to. For example, if TRUST is one of your values, then the question to identify the Behaviours would be – How do we demonstrate Trust with each other and our customers? Behaviours linked to this include – doing what we say we will do, following up on our promises etc We recommend 3 – 5 statements that relate to each value. Have Vision and Values up on walls in meeting rooms, corridors, on stairways and of course on your front page of your website. Refer to Behaviours in all your performance management systems. Have them written into job descriptions, create a ‘code of conduct’ and put in inductions and make sure they are embedded into your appraisal and one to one process. Remember to link Values and Behaviours into every meeting that you hold. They should become part of your language in your company. Show off your Vision, Values and Behaviours to your customers, stakeholders, suppliers – it’s your culture – be proud of it. When developing your learning and development strategy for your staff use Value words and Behaviours to underpin your development process. 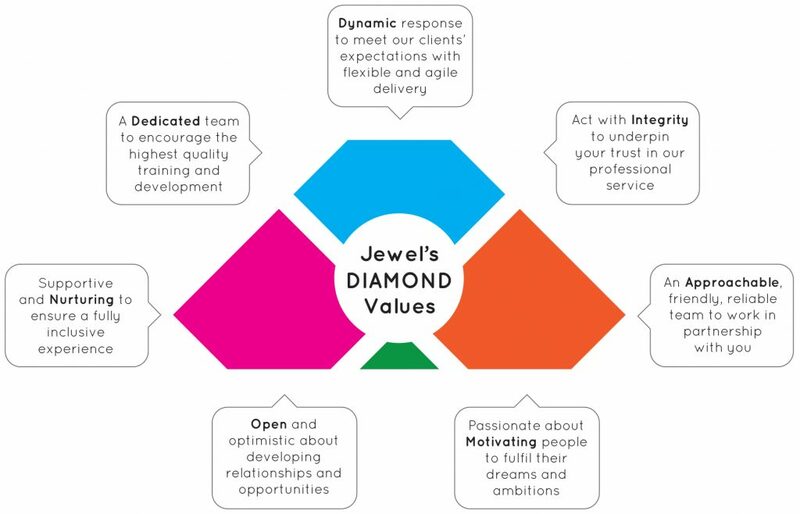 If you like these tips and would be interested in Jewel coming into your business to help facilitate a Vision, Values and Behaviours workshop or want to learn how to do this by attending our next ILM Level 5 Certificate in Leadership & Management qualification please contact us at info@jewel-training.co.uk or telephone: 01491 822650. Feel free to share this article with others and if you would like to hear more from us sign up for our newsletter or follow us on twitter, facebook or linkedin. ← What is Executive Coaching?